Sphene is a rare collector stone with an unusually high refractive index and and a hardness of 5 -5.5. Because of it's high dispersion and refractive index, a well cut sphene can display stunning brilliance. 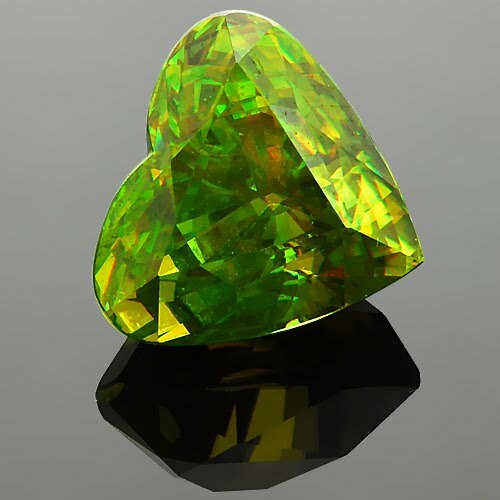 This gemstone features "fire" phenomena, - the special effect due to dispersion and refers to the ability of the gemstone to draw light apart into its constituent colors. This works just like the glass prism that unfolds sunlight into the rainbow by refraction.